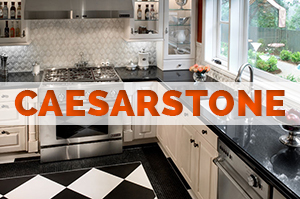 Granite Countertops Maryland & Virginia - Great Prices & Many Colors! KNC Granite registered in the Commonwealth of Virginia and Maryland. KNC is the leading supplier of marble, quartz and granite countertops Maryland. If you have a need for high quality kitchen countertops, bar tops, fireplace surrounds. tub decks, bathroom vanities, or anything that has to do with stone surfaces, we are the specialists you need. Our clients include homeowners, interior designers, and general contractors.Please check our facebook page : https://www.facebook.com/kncgranite/ or check our yelp page : https://www.yelp.com/biz/knc-granite-lanham. At KNC, our aim is to maximize customer satisfaction by giving them the best possible service and product through continuous improvement and implementation of Total Quality Management principles. KNC Granite has the most extensive collection of slabs in the area, hundreds of them warehoused in a climate-controlled gallery. We offer a wide array of colors and designs for the highest quality products, and we are continuously expanding our inventory to reflect current trends. At KNC Granite, we believe you cannot hurry perfection. Our highly experienced artisans have a hands-on approach to their craft. They pay close attention to each step in the process to ensure that your stone surface exceeds your expectations. Careful does not mean slow. Available product and experienced craftsmen means the job gets done fast so you don’t have to suffer the inconvenience of a nonfunctional kitchen for long. We only start on your kitchen when it is ready for installation. We have developed an efficient system to get the job done right. Here is what happens. KNC offers a wide selection of granite, marble, and quartz surfaces that you can check out in our gallery. Knowledgeable staff are on hand to help you choose the right material for your needs. Our artisans use the template to determine the best possible way to cut the slab that creates a visually pleasing surface based on the grain and pattern flow. KNC has special vehicles for the safe transport of your custom stone surface. Accompanying it to the site is our experienced installation specialists to quickly and efficiently unload and install you new product. Our craftsmen will give you instructions on the proper care and maintenance of your new surface product. An average person spends about 4.5 years in the kitchen and bathroom. That is nearly half of the time spent on working (10.3 years) which is pretty incredible if you think about it. Given how much of your life you probably spend in these rooms, you should give them a lot more attention. A kitchen and bathroom makeover does not have to be extensive; often, all you need is a little surface time. For giving your kitchen and bathroom a whole new look, granite countertops are the answer. In fact, granite is quite versatile, so you can have granite kitchen countertops installed in every room in your home. Imagine replacing your cracked or stained kitchen or bathroom tiles with the mellow sheen of granite. Imagine doing the same thing with your floor and fireplace. You can have your remodeling done in little more than a day with KNC, so you can have your dream kitchen or bathroom up and running with little delay. You may encounter many critics out there that will try to convince you that granite countertops may not be your best choice. They will say that they cost too much, are high maintenance, scratch and stain easily, or encourage the growth of bacteria. There is a grain of truth in there, but they are not giving you the whole picture. Granite countertops themselves do cost more than tiles in square footage, but granite has a major advantage: installation. Tiles require considerable preparation before they go on any surface, and they have to be installed one at a time. When you factor in the cost (not to mention the time it takes) for installing tiles, you will find that you come out ahead with using granite countertops. Moreover, we have the best prices for granite countertops in the state, and we have the widest selections of colors and designs. Another major consideration is demolition. 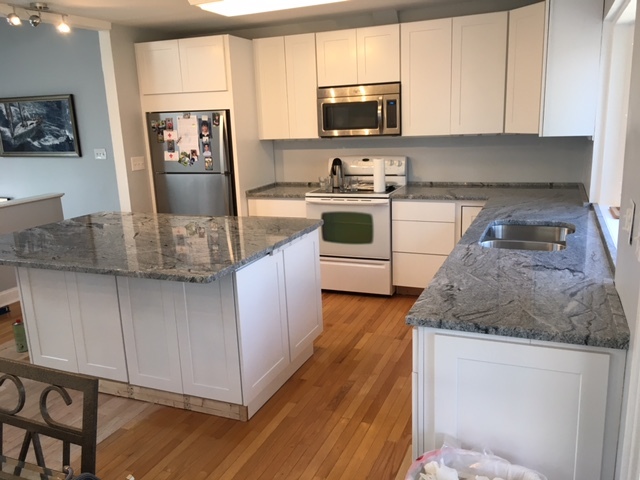 We don’t know how other granite countertop installers do it, but our innovative installation process makes use of direct installation over existing structures. You will not have to contend with dust and debris from demolition, which is the biggest party pooper in renovations. As to other myths out there about granite, that is all they are: myths. For example, some say that granite countertops are high maintenance. That’s just not true. You do not need any special cleaning products or implements to keep the surface looking like new. Regular cleaning with soap and water, and keeping it dry, is all you need to maintain your new countertop. It is also not true that you need to seal it every year. Our granite slabs are pre-sealed during fabrication and will not require resealing for up to 15 years with regular maintenance and use. Another myth is that it stains and scratches easily. Granite is highly resistant to superficial scratches and stains. In fact, you can use your granite countertop as a cutting board if you don’t mind dulling your knives. If your countertop does get any stain or scratch from heavy use, these can be remedied quickly and easily. Granite is darn near indestructible, so it takes a lot to damage them. They are heat resistant, too, so you don’t have to worry about putting pans and pots straight from the stove to your countertop. However, it is always best to use normal precautions such as using cutting boards and heat pads to preserve the beauty and sheen of your countertop. There is no denying that the kitchen and bathroom are veritable breeding grounds for bacteria. However, it is not true that granite countertops will make this worse. The truth is, granite have very little porosity, so it does not hold bacteria, molds, or mildew at all, if you clean it regularly. Let’s face it. If you don’t clean your kitchen countertops regularly, it will not matter what material it’s made of; it will breed bacteria that can make your family sick. At the very least, granite will hold bacteria a lot less than the grout between your tiles. Knowing all this, it just makes perfect sense to remodel your home with granite countertops Maryland. If you are planning a flip or to sell your home now or in the future, you can lay out your capital in the best way by investing in good quality granite countertops. The value it gives for your money is unbeatable. Nothing increases your home’s market value as much as attractive countertops. Most buyers get a favorable first impression when they see granite countertops, because the wide range of the available colors transforms the look of your whole house. The fact that it has an ultra-hard surface makes it even better. If you are not yet decided on what kind of countertop will work best for you, we will be more than happy to entertain your inquiries. We can show you a wide selection of designs, colors, and cuts, and offer suggestions on what may be the best type of countertop for your home. We can customize any countertop to your specifications, deliver it on time, and install with a minimum amount of fuss or bother. Our staff will be on hand to assist you on every step of the way.